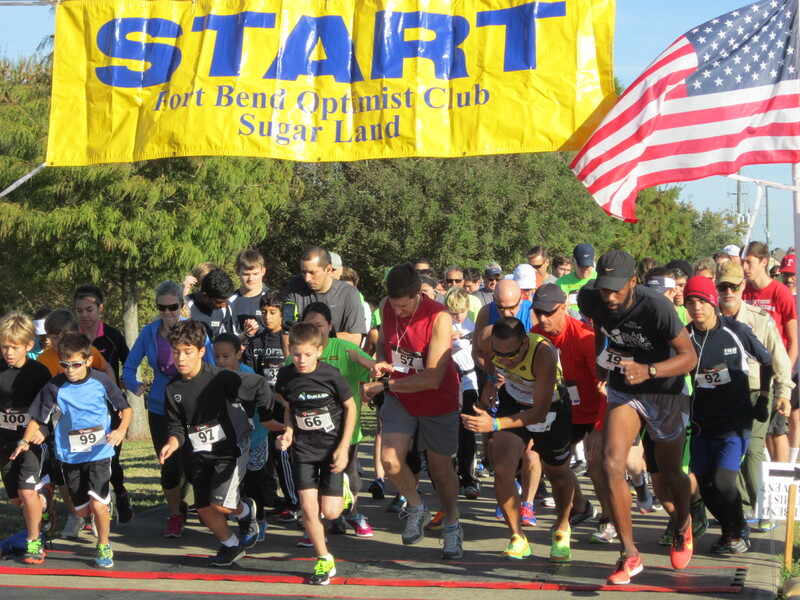 The Fort Bend Optimist Club Sugar Land held its 34th Annual Fun Run / Walk on November 6, 2016. 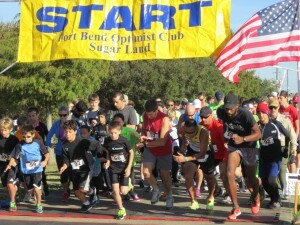 Over $20,000 was raised in Sponsor support and Runner / Walker Registrations. Over $8,000 in merchandise and services were donated by our Sponsors and Supporters and were given away in a drawing and Silent Auction at the end of the race. One hundred twenty (120) registered for the event this year. Trophies were given for overall winner, 1st, 2nd and 3rd place in each age group in the 5K Run. All registrants were eligible for drawings with multiple winners of gift certificates, dining and fast food meals, golf, tennis, massages, and other merchant donated amenities.